Flecks of Lex Fun Fact: I have always been a grain-eating fool. Give me some chicken and vegetables in some kind of sauce, and I will use it to smother some grains like nobody's business. When I was a kid, I used to eat rice and soy sauce as a snack, religiously. When I learned about rice cookers in high school, it changed my life! I had a friend from Liberia who used to always have rice at her house, and she would make sure she had a bottle of soy sauce to go with it when I was coming over. Like I said: I have always been a grain-eating fool! When I found out that Sweat Pink Ambassadors were being given the opportunity to try out a grain with an amazing name, and that I had never heard of, I jumped at the opportunity! So what is freekeh? It's an ancient grain that is made of green wheat, and the Freekeh Foods' brand of freekeh is organic (though not gluten free, for all of my friends out there who were wondering). It reminds me a lot of brown rice, but it has more flavor, and is actually much easier to cook! I like that I don't have to worry about watching it every other minute like I do with rice. It is very filling, despite the way it looks before it is cooked (it sort of looks like oatmeal!). According to the Freekeh Foods website, freekeh has 3x the fiber and protein of brown rice, and is lower in calories than white rice and quinoa. Freekeh is supposed to be pronounced freek-uh, but of course that's not how I pronounce it because I'm silly, and once I've made up my mind on how to pronounce something, it's hard for me to change it! 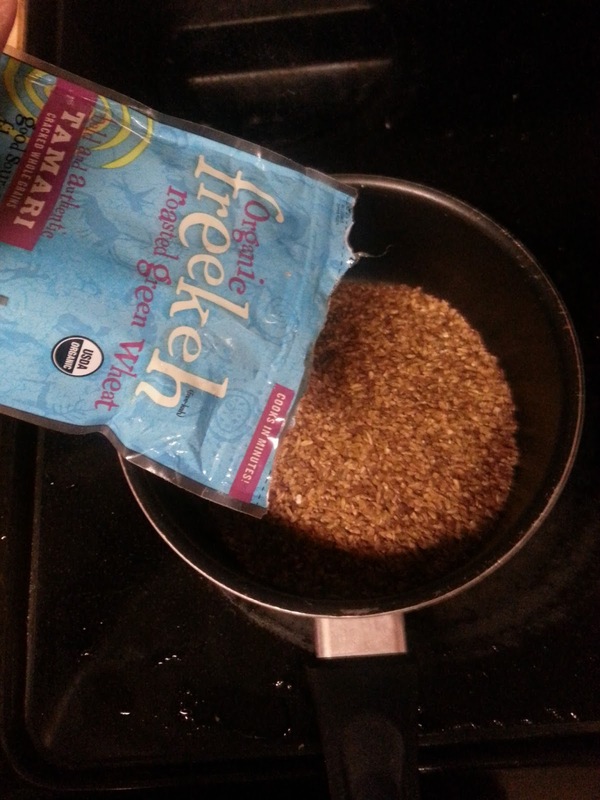 I received two packages of freekeh to sample -- tamari and original flavors -- and was not let down! I actually didn't season my freekeh because I loved the way it tasted on it's own; however, I did love the tamari-flavored freekeh. I recommend the tamari freekeh to go with my quick stiry fry recipe, as the flavor really complements the hoisin sauce and vegetables. Now, on to the giveaway! 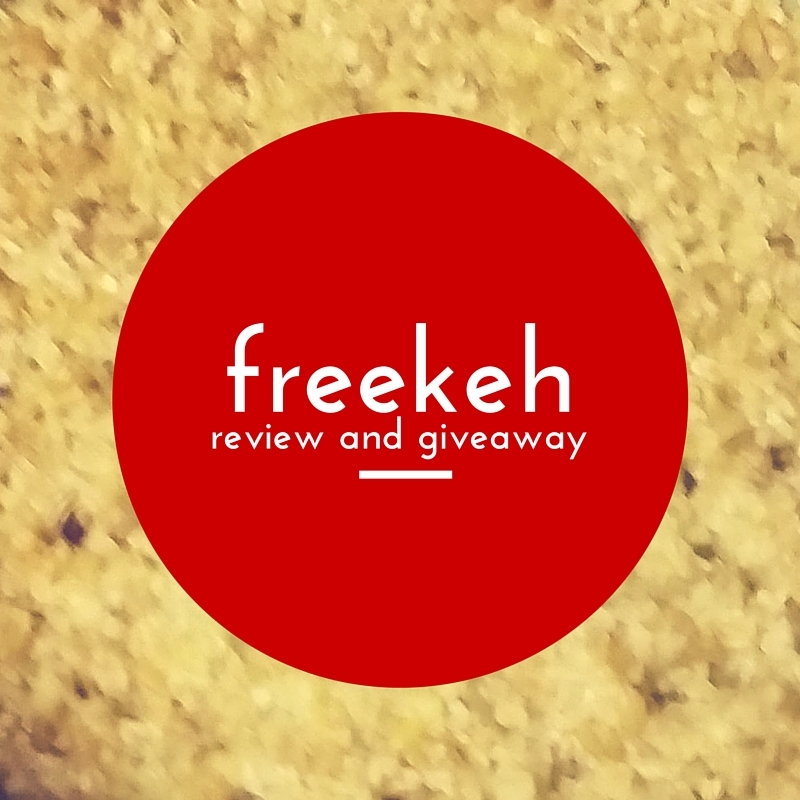 I will be giving away one package of freekeh to one lucky winner! Each package has about 4 servings of freekeh. The winner will get to choose original, tamari, or rosemary sage freekeh. Use the Rafflecopter widget below to enter to win. (Winner must reside in the U.S.) Good luck! 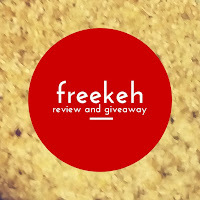 Disclosure: I received two packages of freekeh from Freekeh Foods in exchange for a review and giveaway. All thoughts contained in this post are my own.